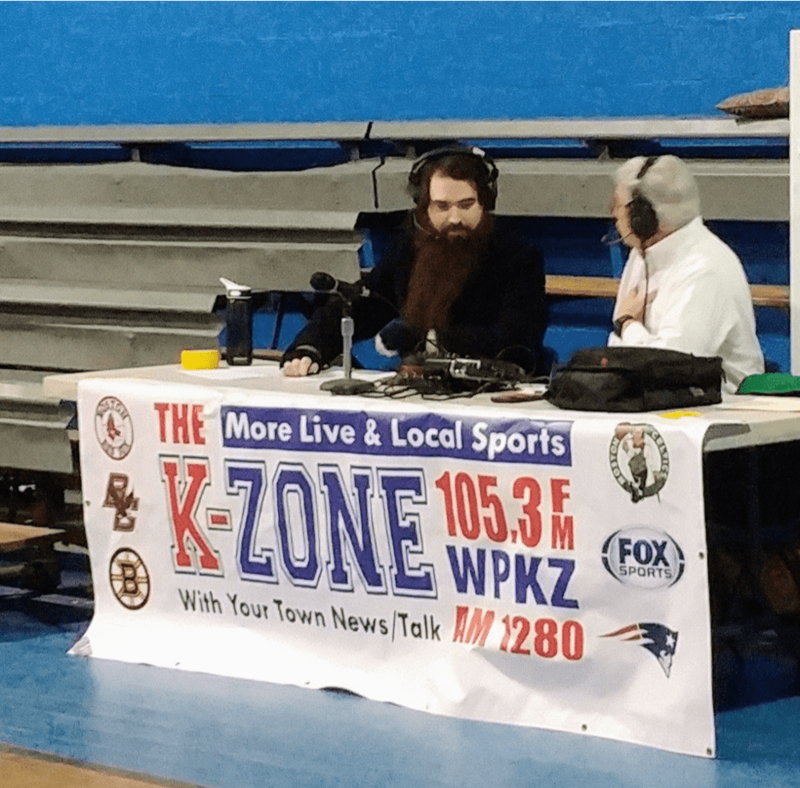 The K-Zone is proud to combine their live broadcasts of Boston professional sports games with original broadcasting of area high school and college sports games. We believe in the magic of sports to bring together a community and teach our young athletes and students life-long lessons. With this, we have varied programs committed to sharing our hometown sports pride including broadcastingFitchburg Red Raiders, Leominster Blue Devils, St. Bernard’s High School Football, and Fitchburg State Athletics. 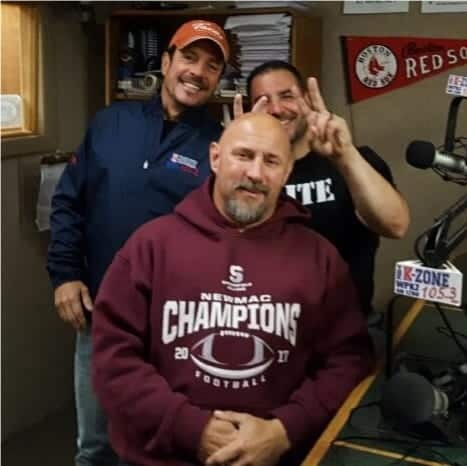 Join Howie Kahn and cohosts Tom Sartasania and Coach Jim Bennet for a weekly spotlight featuring local coach and athlete interviews and news of college football in Central Mass and innovative ideas in athletic performance. This show has been a staple of the Central Mass athletic community for 10+ years and we are proud to be able to host it at the K-Zone! Howie Kahn is a long-time member of the K-Zone who works on both the Sales and Broadcasting end of the station. A native Worcester resident, Howie has grown up in the North County and has worked for 35+ years in local business. His passion lies in business, sports, and health resources for the community that he has called home for many years. Tony is a long time coach, sports fan, and educator who has definitely racked up his miles in sports. He coached at Boys’ Varsity Basketball for Clinton High School for 30 years, assisted football for 29 years and baseball for 21 years, and acted as Athletic Director for 8 years. He also taught for a combined 35 years in the Ayer, Nashoba, and Clinton school districts. 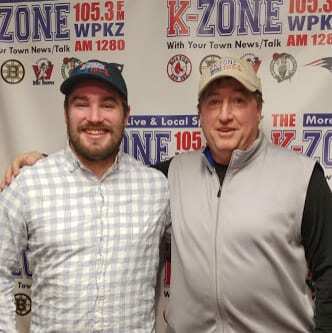 Ethan recently joined the K-Zone team as Tony’s partner in crime as current Sports Writer for the MetroWest Daily News. He’s the former sports editor of the Berkshire Record and is a proud alum of Algonquin Regional High School and HighPoint University in North Carolina. The K-Zone is your home of the most live games featuring our 2014 Massachusetts Broadcasters Association (MBA) Award winning and 2015, 2016, 2017, 2018 Merit Award honoree play-by-play team of Todd Robbins, Bill Thomas, and Kate Robbins. 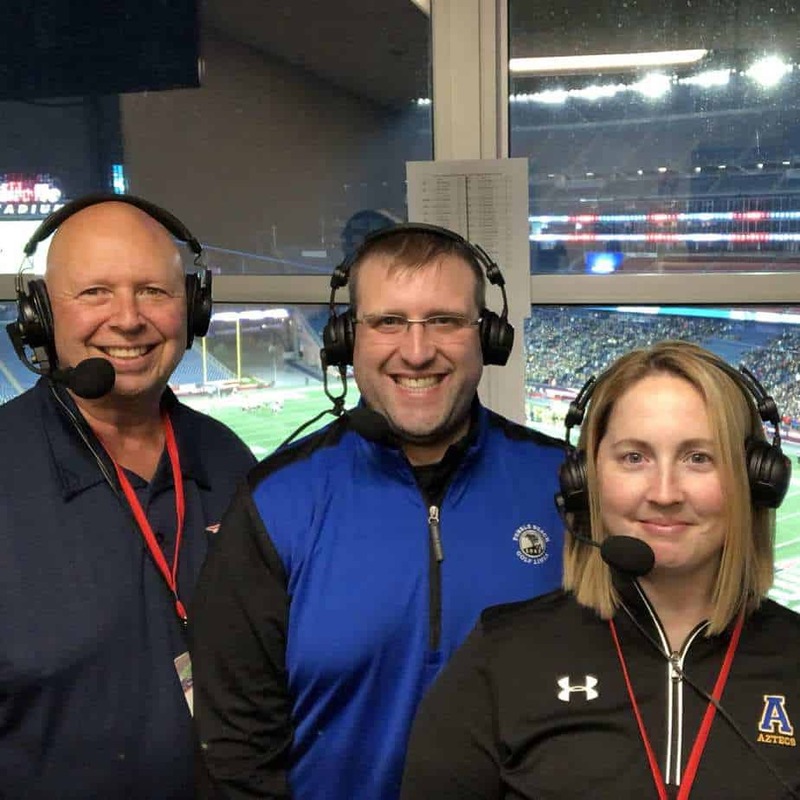 You can hear Todd, Billy, and Kate anchoring our coverage of Leominster High School Football and The Thanksgiving Day Classic, featuring arch rivals Fitchburg and Leominster, historical specials like “Recipe for a Classic,” along with other regional high school football game specials along the Road to the Championship. Our award-winning team has called (8) MIAA State Super Bowl Championships from Gillette Stadium and Fitchburg State University. In the winter months, Todd, Billy, and Kate migrate from the gridiron to the hardwood offering their signature styled play-by-play call on select games of boys and girls basketball, as part of the “K-Zone’s Game of the Week” package. Todd Robbins joined WPKZ in the fall of 2010 taking up the historic play-by-play role of “School Boy Football” announcer continuing the rich history laid by Dave Clark and Joe White prior. Todd began calling play-by-play of Leominster High School football in the fall of 1999 for the precursor of what today is known as LeominsterTV (LTV), while he was a first year student walking the halls of LHS. It was at that time, then Leominster Athletic Director Ralph Caisse first dubbed Todd, “The Voice of the Blue Devils,” a role he today continues to proudly serve for both the K-Zone and LTV. A founding member of LTV, Todd was inducted into the LTV Hall of Fame in March of 2018. A lifelong resident of Leominster and graduate of Leominster High School Todd matriculated to Syracuse University, graduating with a degree in Political Science and a concentration in Communication & Rhetorical Studies. Todd spends his days educating communications students in the fields of Radio & Television Broadcasting at Watertown High School outside of Boston. Bill Thomas originally joined WPKZ as the station’s “NASCAR Insider” later joining the broadcast team for high school football in 2010 as statistician, rising to game analyst one year later in 2011. Bill has been offering his insight and analysis across the local landscape as a long-time contributor to the “K-Zone Morning Kommute” and as a past co-host of “The Scholastic Sports Zone with Howie Kahn.” Bill has taken his talents to television as well, hosting “Sports Weekly” on FATV and serving as the inaugural stadium announcer for the Wachusett Dirt Dawgs at Doyle Field in Leominster. A graduate of Nipmuc Regional High School in Upton, Bill now resides in Clinton and prides himself on his adopted status as part of the Fitchburg/Leominster communities. Kate (Myer) Robbins joined WPKZ in the fall of 2011 as a statistician for high school football, rising to game analyst and pre game/halftime/post game co-host one year later, in 2012. Kate brings her experience and insight as a 3-sport, 12-season varsity athlete, and 5-time captain at Leominster High School to the broadcast highlighting the student-athletes’ perspective. Kate also brings a wealth of knowledge as a former interscholastic coach at St. Bernard’s and Shrewsbury High School. Kate, herself a life-long Leominster resident, completed her undergraduate studies at Roger Williams University and later graduated with a Master’s Degree from the University of Massachusetts-Lowell. Kate teaches History (9-12) at Assabet Valley Regional Vocational Technical High School in Marlborough and as an Adjunct Professor in the Graduate School of Education at Lesley University. At the K-Zone, we are lucky to have two broadcasts teams! This one is hosted by the dynamic duo of Daniel Beaulac and Daniel McAuliffe. They cover area high school and college games, from Red Raiders Ice Hockey to Fitchburg State Football. Daniel Beaulac was born and raised in Fitchburg and found his love of sports while following the Fitchburg State Falcons as a kid. After graduating from Monty Tech, he became a Falcon himself, studying Computer Science at Fitchburg State. He became the lead announcer for the Falcon sports network until his 2016 graduation and was awarded the “Contributor Award” in his final year for his work in the athletic department. Since graduation, Daniel has been calling games for both FATV and WPKZ. The highlight of his broadcasting career with WPKZ was the 2018 Shrewsbury vs. Hanover MIAA Division 3 Ice Hockey Championship at the TD Garden: “It was incredible to get to call a hockey game from the 9th floor perspective, overlooking the crowd and in the same place where Bruins play.” A young Daniel’s dream come true, for sure! Dan McAuliffe is a longtime supporter and commentator for our local Central Mass sports. From 2001 to 2007 he was the play-by-play and videographer for the Clinton HS Football team and from 2003-2005 he led the broadcasting support for the Clinton HS Basketball teams. He even dipped his microphone into the world of semi-professional football as the broadcaster and videographer for the Clinton Irish Blizzard from 2003-2005. We are grateful that he has been a part of our WPKZ team as co-host of the Scholastic Sportszone with Howie Kahn from 2012-2015 and since 2016, as the color commentator for WPKZ High School Game of the Week with Daniel Beaulac.